Tired of not being able to utilize the rod holders under your T-Top because the rods are to tall to fit? Birdsall's Rod Bushing allows you to use those integrated rod holders on your center console. The bushings have caps that when removed allows rods to be passed through the fabric in your T-Top, when not in use the caps are secured to produce a weather tight top. These bushings work well in canvas tops, bimini tops, towers, or half towers. 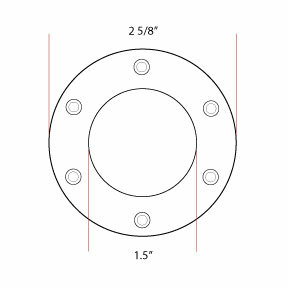 Overall Width : 2 5/8"